San Francisco-based Ekua Impraim is a Matador member to keep your eye on. When her favorite books were featured on MatadorGoods last week, I was intrigued. 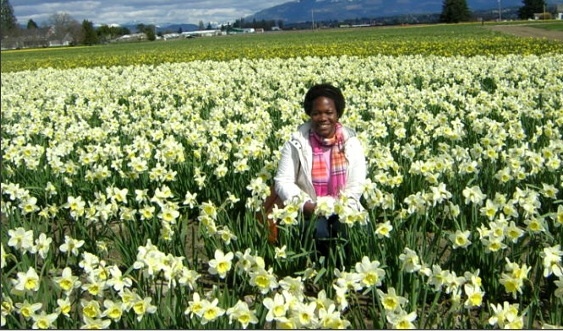 Not by the selections, necessarily, but by this woman with a radiant smile sitting in a field of daffodils that stretched way back into the horizon. I clicked through to her MatadorTravel profile, where I saw her fantastic screen name– Girl, Unstoppable– and learned we share some favorite musicians in common (Ani Difranco, Nina Simone, Zap Mama).